The world is experiencing extinction rates not seen since the dinosaurs were killed off, marking the end of the Cretaceous period some 66 million years ago. Australia has not been immune to this alarming trend. We have experienced a dramatic loss of species over the last century, with 100 endemic species becoming extinct since European settlement. Despite decades of conservation efforts, more than 1,500 of our unique species are under threat, but scientists suspect many more have vanished or are on the brink without anyone realising. Even our National Parks have done little to protect Australia’s most endangered species, with species numbers within the parks decreasing at the same rates seen outside the protected areas. The Great Barrier Reef and Kakadu are our largest and most well funded National Parks. But since its establishment in the seventies, Kakadu National Park has suffered a 95% loss in mammals, and our world famous reef has seen a huge decline in biodiversity. If we can’t get it right in these areas, it seems there is little hope for the rest of our National Parks. Many of our national icons are under threat of extinction and the impacts of habitat loss, feral animals, urbanisation, agriculture and climate change have taken a heavy toll. The Koala, arguably our most loved and recognisable animal, is endanger of becoming extinct in the next 30 years. Populations have plummeted in the last two decades, with less than 80,000 remaining in the wild. 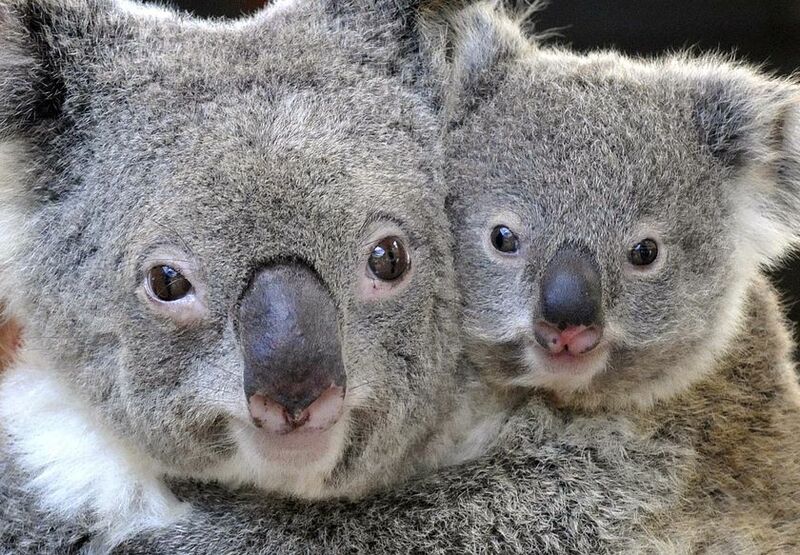 At the time of European settlement, an estimated 10 million koalas lived in our eastern eucalypt forests. Despite the imminent threat to this iconic species, there is no Federal Legislation in place to protect the koala and State Legislation had done little to protect local populations. Species numbering less than a few hundred in the wild have been resigned to extinction, unlikely to recover. These are the so-called Zombie Species or Living Dead. Professor David Bowman of the University of Tasmania has described the situation in Australia as terminal, with a “whole raft of species about to go over the extinction cliff”. He argues that new, radical measures are needed to save species. There is a growing consensus in the scientific community that we simply can’t afford to save every species, so we must select which ones to save. This controversial idea is known as ‘Ecological Triage’. Focusing on specific animals has had success in the past, notably with the California condor, grey wolves, Northern elephant seals and Novia Scotia’s Atlantic salmon. While costly, the breeding and reintroduction programs have meant that these populations have recovered and can persist in the wild. The question is how we choose which species to save – large loveable mammals, those with economic value, or the likelihood of the conservation program succeeding. Critics have argued that we can’t give up on certain species because of our government’s poor approach to environmental management. Greens Senator Larissa Waters stated that she “can’t bear the thought that we should give up on our iconic Australian species and I can’t bear the thought that we somehow throw the towel in too soon”. Others have argued that a wealthy country like Australia, with some of the best ecologists, conservation biologists and conservation scientists in the world, must do far better at managing our natural resources. More than a decade ago, scientists Cameron and Soderquist argued in that nations such as Australia should reject the concept of ecological triage because they have the knowledge and ability to save threatened species. 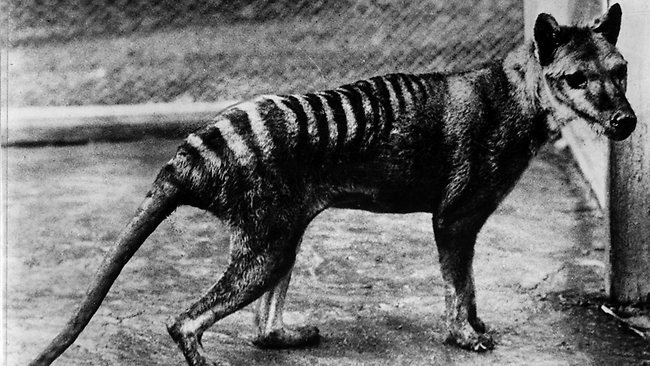 Environment Minister Greg Hunt stated that the potential extinction of many unique species is ‘real and significant‘. But rest assured nature lovers, the Government has a Three-Part Plan. He says the Government’s goal is to “help as many species as possible”. Interesting, given that the government continues to approve industrialisation and mining of our ecologically sensitive areas, remove heritage listings so they can chop down National Parks and go backwards on climate action. If the fate of our unique species depend on Greg Hunt, I’m afraid there’s not much hope.